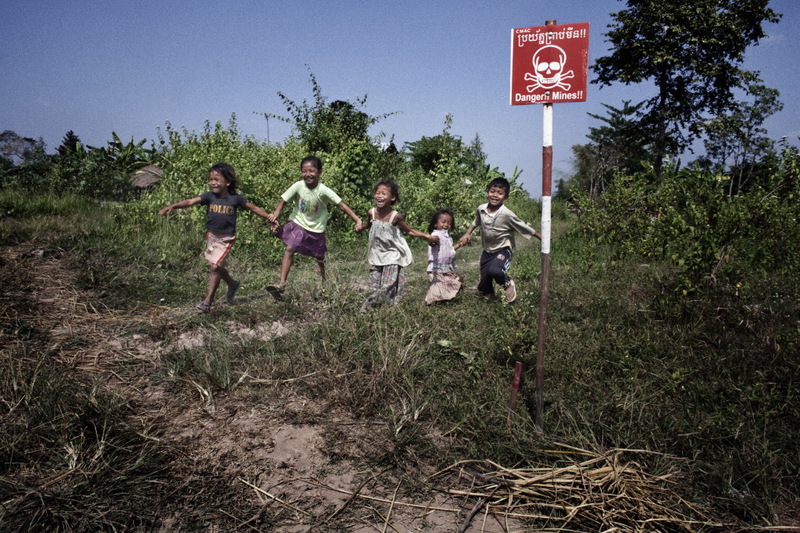 Cambodia is one of the most mine-contaminated countries in the world. 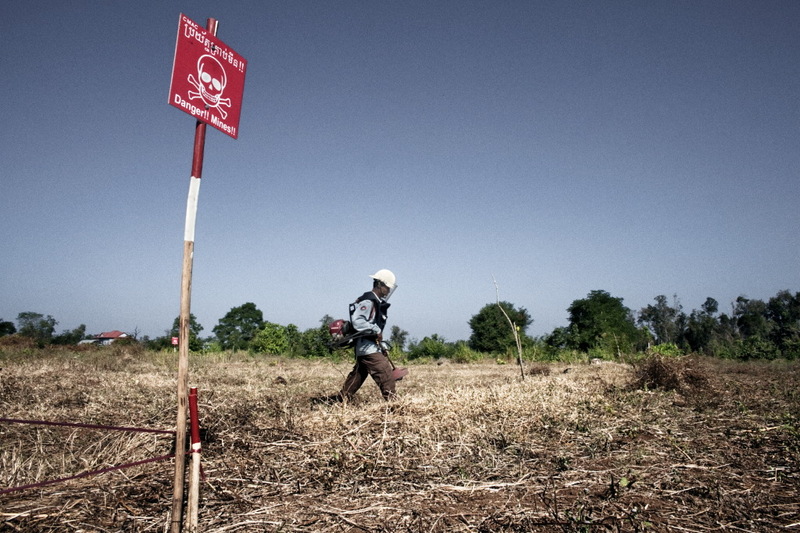 The National Landmine Impact Survey (LIS) in 2007 has estimated in the Country: 4-6 million mines and other devices not exploded 4.500 km of areas at-risk 6.422 contaminated villages containing approximately 5 million people (33% of population). 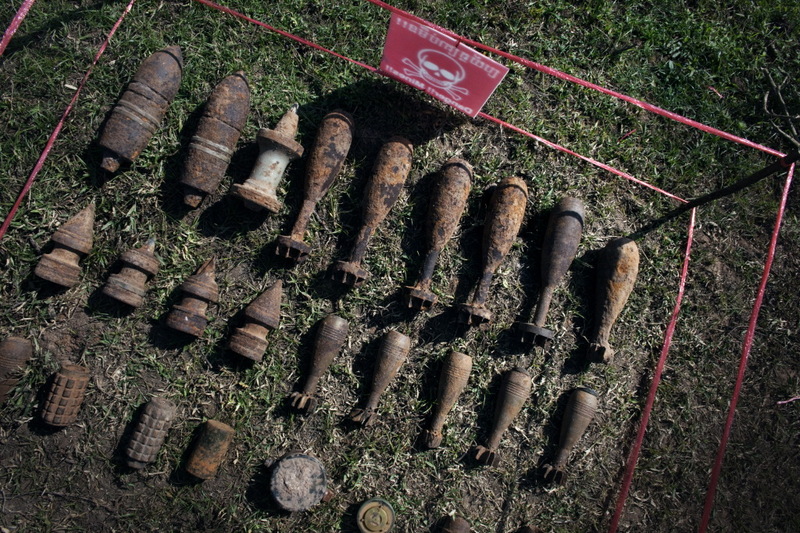 Every month 22 victims of explosion are registered in the Country. 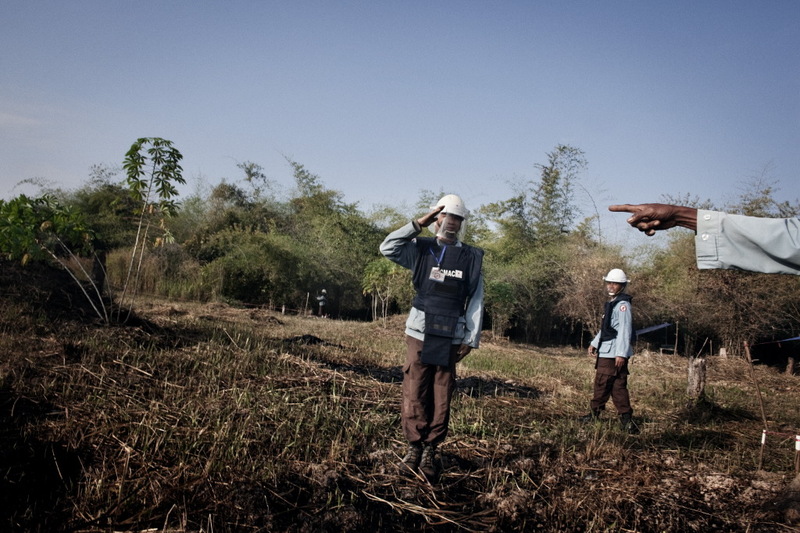 But this data, even if tragic, is a positive signal, because of a 50% decrease of victims in the past 2 years (from 450 victims in 2006 to 266 victims in 2008) thanks to the activity of dismantling of the mines promoted by the different National and International Organizations. 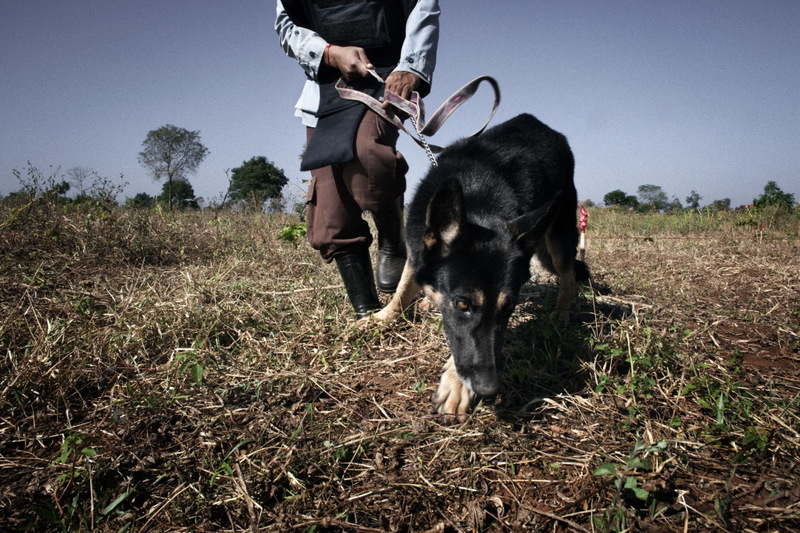 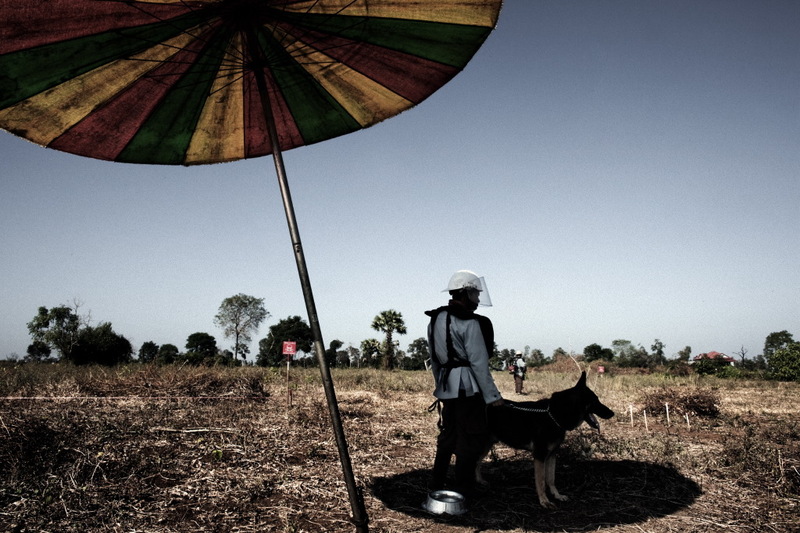 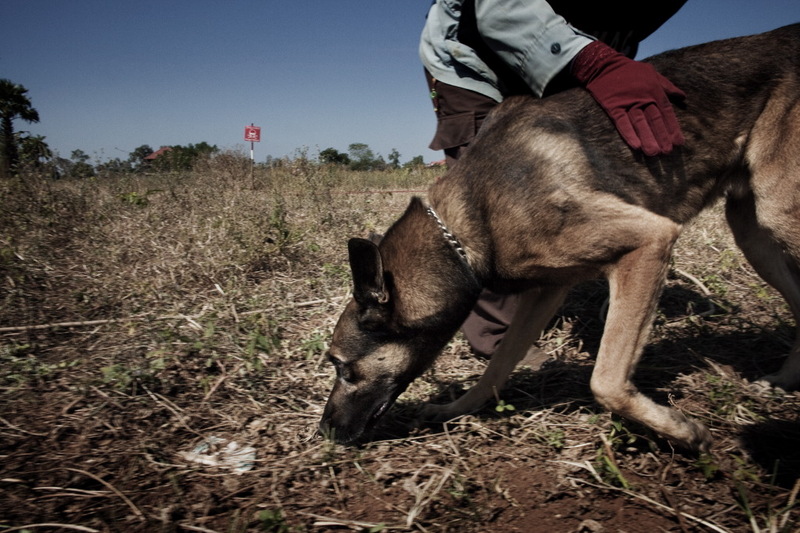 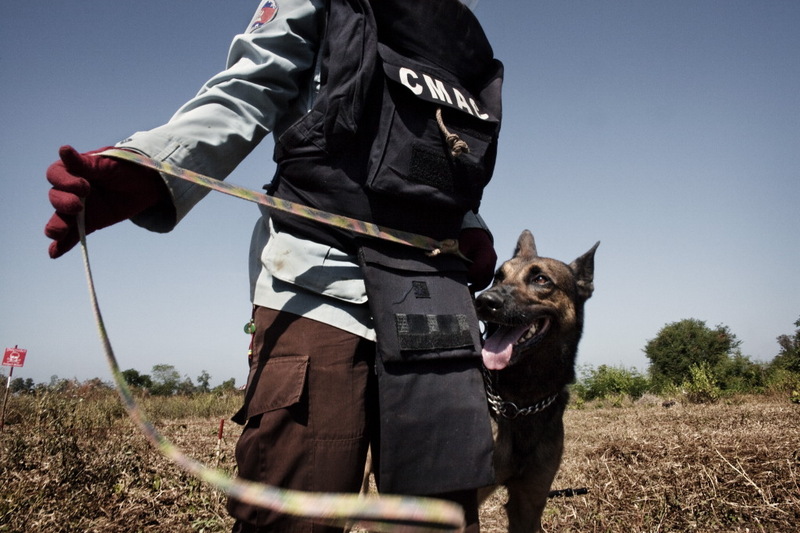 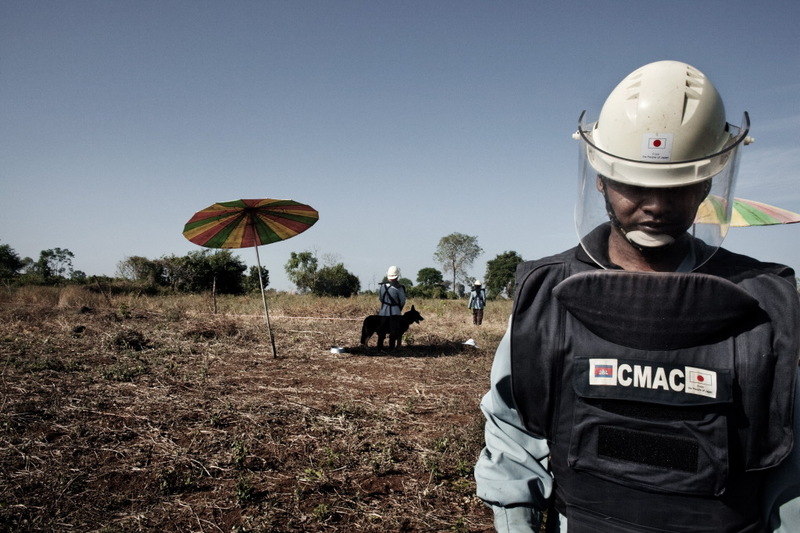 The use of dogs for the location of mines is one of the most important methods used in Cambodia in the past 2 years. 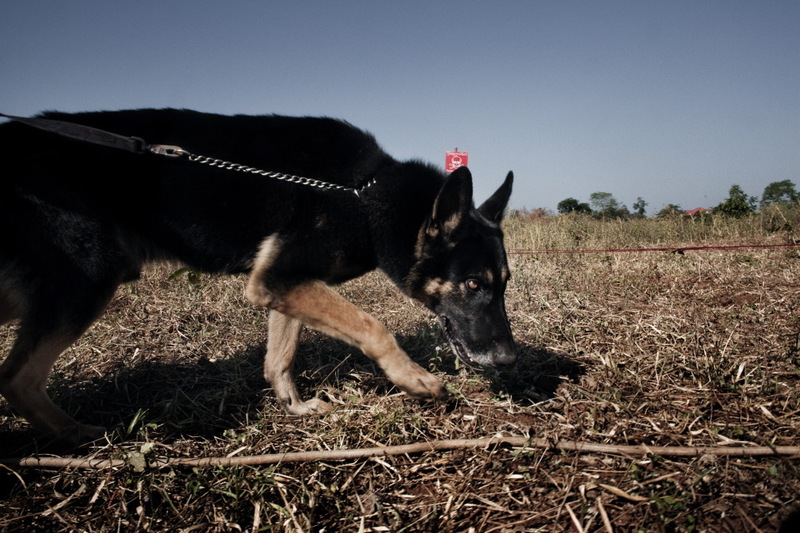 The dogs come from the Global Training Centre in Bosnia, the biggest training centre in the world. 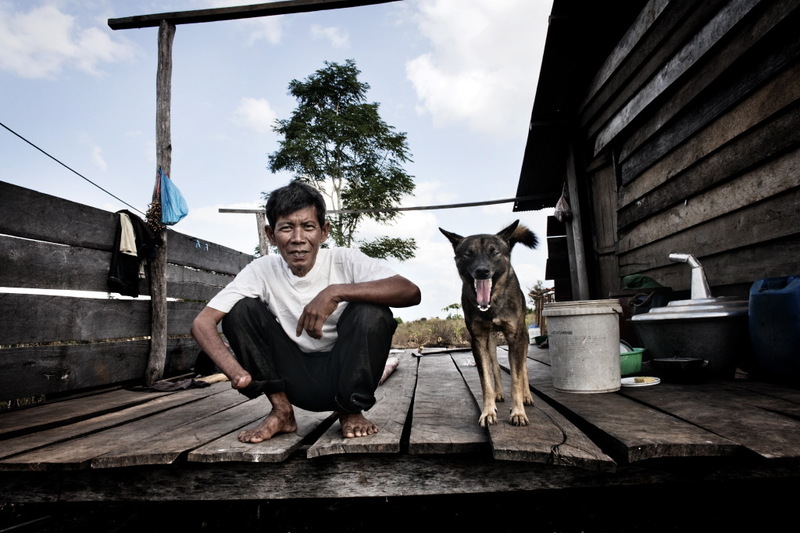 (text by Luca Catalano Gonzaga).